Heading into the making of her fifth full-length record, The Song In Me, Hampton musician Jessica Rhaye was looking to shake things up a little bit. After having worked with the same production team for her last three efforts, Rhaye fled across the border to Nova Scotia, where she recorded her new album with acclaimed producer Dale Murray at his Port Howe studio. Released in mid-September, the natural beauty that surrounds Murray’s studio proved to be the perfect foil for Rhaye’s vibrant roots-folk-pop sound. Rhaye jokes that making such a significant change was initially easier said than done. After having made her last three records with the same team, she admits that she has gotten accustomed to the role each person played in the recording process. A pre-production session at Murray’s studio leading up to last Christmas did wonders for reassuring Rhaye she had made the right decision. Looking back upon the success she has found over the last decade of her career, one can appreciate Rhaye’s initial “if it ain’t broke, don’t fix it” concerns heading into the making of The Song In Me. In addition to having secured song placements in television shows including CBC’s Heartland and the CMT program Unstable, Rhaye is a multiple East Coast Music Awards nominee and Music New Brunswick Award winner in categories including Female Artist of the Year and Folk Recording of the Year. With co-writing credits from an impressive array of peers including Saint Johner Brent Mason, Matt Andersen, and Winnipeg artist Matt Epp, the organic feel and immediate accessibility of the material featured on The Song In Me is one of the record’s strong suits. As with previous Rhaye albums, The Song In Me also features a track from celebrated Saint John songwriter Ken Tobias. This time around, Rhaye chose to record Tobias’ song “Good To Be Alive In The Country,” a track taken from his 1973 effort The Magic’s In The Music. “Ken told me he wrote that song during a week in which he was staying on Neil Young’s ranch, which further reinforces my notion that he needs to write a book,” Rhaye says, laughing. 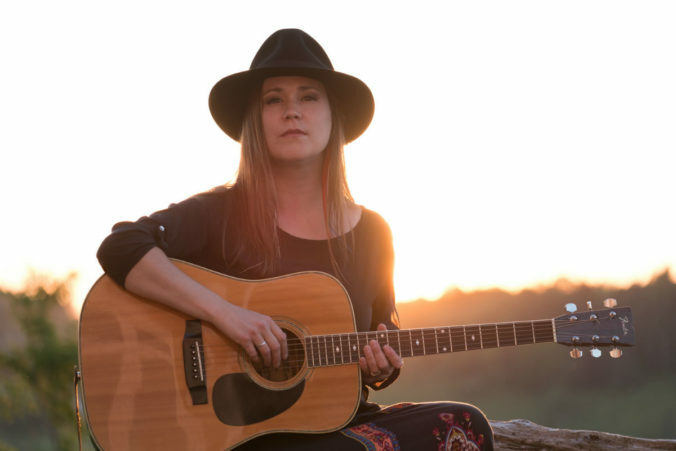 Following a family move to rural Hampton for Rhaye, her husband and two children, the song had become an anthem of sorts for the musician and her bandmates. Inspired by their natural surroundings, Rhaye, guitarist Chris Braydon and semi-new addition Sandy Mackay would get together at the Rhaye home every Sunday morning, bonded by music as well as the picturesque views of the Kennebecasis River. It was in those rustic surroundings that the bulk of the material featured on The Song In Me came together. When: Saturday Oct. 1, 8 p.m.